iSuperpose performs the 3D superposition of protein structures by best superimposing the alpha-carbons (or the backbone) of the proteins given a alignment specifying the correspondence between the structures. If no alignment is provided, a structural alignment will be calculated using TMalign. One the alignement is identified, the superposition is achieved using a quaternion based procedure using a specific eigen value calculation implementation. See QBestFit. interactive graphics of macromolecules on any X11 display. Drawings are performed as wireframes to preserve interactivity. 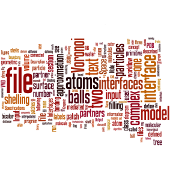 Space filling static images can be obtained by using an interface to external rendering programs such as MolScript and Raster3D. strong ability to be interfaced with external programs. A communication protocol allows XmMol to fork external programs called "delegates" and exchange information. This feature allows the easy implementation of new features of XmMol. This offers possibilities for automatic script execution, new file format I/O implementation, file coordinate modification, implementing external renderers, .... Thus, XmMol can also be used as a graphic debugger for numerical methods applied to molecules (minimizers, ...). Examples of how to implement molecular superimposition, dynamic trajectory animation, as well as calls to external standard programs such as babel or hbplus are provided. Some modelling tools are supported, such as docking facilities, interactive backbone deformation (part of the Forme package). However, the aim of XmMol is mostly to give each user the opportunity to interface its own methods. 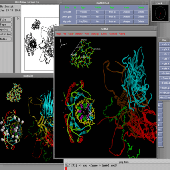 XmMol: an X11 and motif program for macromolecular visualization and modeling. J Mol Graph. 1995 Feb;13(1):67-72, 62. As our understanding of the mechanisms underlying evolution becomes more accurate, and the amount of protein data increases, the investigation of more and more sophisticated hypotheses becomes tractable. Also, the analysis of particular features associated with particular families of proteins becomes our concern. Simulated protein sequences can provide an expectation under a null hypothesis against which real data can be compared. Different programs have been designed for such simulations, mostly with the aim of allowing the test of generic features such as the efficiency of phylogeny reconstruction methods or evaluating competing phylogenetic hypotheses. To investigate hypotheses related to the evolution of particular protein families, it becomes necessary that simulations take into account as much information as possible that can be inferred from a particular phylogenetic reconstruction. This program may be used and distributed freely but only as the original compressed archive file. The author is grateful for any comments, suggestions or bug reports. CS-PSeq-Gen: simulating the evolution of protein sequence under constraints. 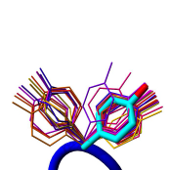 Provides the means for large-scale mining of protein structures. The two libraries described here were built from an analysis of crystallographic protein structures from the Protein Data Bank (PDB). 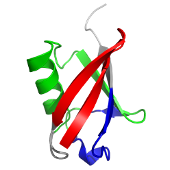 Only proteins at least 30 amino acids long, having no chain breaks, obtained by X-ray diffraction with a resolution better than 2.5 Angstroms were retained. 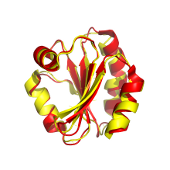 In date of november 2003, this resulted in a collection of 2926 protein chains presenting less than 30% sequence identity (489528 amino acids, not considering ALA, GLY and PRO). The libraries store the chi values, and the frequencies of occurrence of each conformation. Compared to our previous libraries, we use a different approach to determine rotameric values, since we use Gaussian filters, in a way similar to that described by Lovell et al., Proteins 2000 40:389-408. 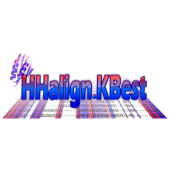 TEF is an open-source software for decomposing protein structures into simpler yet informative units named Tightened End Fragments (or closed loops), which can be studied independently to understand protein architecture, folding, and evolution. Stratmann D, Pathmanathan JS, Postic G, Rey J, Chomilier J.
TEF2.0: a graph-based method for decomposing protein structures into closed loops. Lamarine M, Mornon JP, Berezovsky N, Chomilier J. Distribution of tightened end fragments of globular proteins statistically matches that of topohydrophobic positions: towards an efficient punctuation of protein folding? Cell Mol Life Sci. 2001 Mar;58(3):492-8. The Structural Bioinformatics Library (SBL) is a generic C++ / Python library, providing models and algorithms for structural bioinformatics, so as to foster our understanding of the relationship between the structure and the function of macro-molecules and their complexes. Its design accommodates various molecular geometric models coding the physical and chemical properties of macro-molecular structures, and the variety of operations undertaken on these models. Applications : packages for end-users, providing programs targetting specific biophysical problems. Core : low-level generic C++ classes for algorithms and data structures. 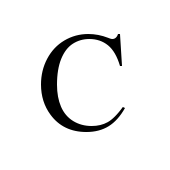 Models : C++ models matching the C++ concepts required to instantiate classes from Core. Modules : components used to define the workflow of applications. 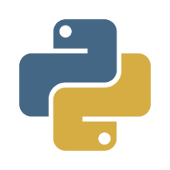 Modules are C++ classes parameterized by classes from the Core and Models. The structural bioinformatics library: modeling in biomolecular science and beyond.